It's been a crazy journey to get where we are today--and it's a ridiculously awesome place. Getting here wasn't as easy as I thought it would be. That's for sure. Most startups fail within the first five years of launching. So many startups are going bankrupt or in a death spiral and shedding jobs in the hope of staying afloat to buy a few more months of life. It's sad. Here are five lessons I've learned on my journey of building a successful business. Check out this screenshot of the original budget I pitched to VCs to get our Series A funding (way back when I was the chief accounting officer, along with being chief of every other department!). Our revenue eventually got there. The revenue ramp was near-identical in shape. It just took a little longer than I thought it would! Why did it take longer than I originally planned? Because your initial business plan is usually wrong. Your initial business plan is built on assumptions. So it's important to be open to radical change, especially early on. 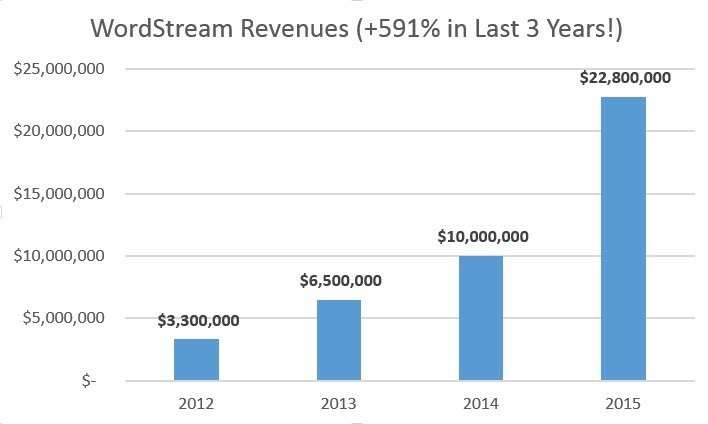 For WordStream, what began as our "side project" eventually became our big thing. Our original big thing became a small component of our actual big thing. You see, WordStream started as a keyword research tool. We quickly learned that this solution didn't have the retention characteristics you could build a business on - most of our clients moved on after just six months or so. Now our original keyword research tools had integration with AdWords - that one "side feature" later became the focal point for future development as a more robust platform that helps advertisers successfully manage all aspects of their PPC advertising - from Google AdWords, to Bing Ads, to social ads, call tracking and landing pages. And I'm happy to report that those clients are staying with us a lot longer than six months! It's important to focus on your superpowers--those things you're exceptional at and only you can do. For me, that meant focusing on things like blogging or marketing and product. On the other end, you should never force yourself to do things you aren't good at or have zero interest in doing. For me, that thing was managing people. Luckily, I have a fantastic business partner--Ralph Folz, who is the CEO of WordStream. He runs the entire business--overseeing all the different departments of the company--and is awesome in this role. I also have incredible investors: Paul Flanagan from Sigma Prime, Frank Andrasco from Siemens Venture Capital, and Benedict Rocchio of Baird Capital. You can't do everything alone forever. You need really exceptional business partners and a great team to support the company. Focus on the things you do well! It's great to have a brilliant strategy, but hard work is still absolutely essential day in and day out. We're still working hard to posting memorable blog content every day that is relevant, interesting, and helpful to stay visible in our industry. We're always looking to improve our software and our company. It's been said before, but hustle beats talent when talent doesn't hustle. 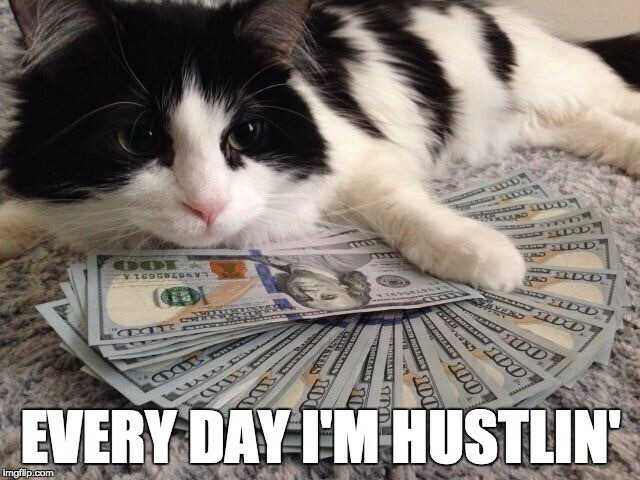 So we're going to keep hustling. Another big "aha!" moment was when we turned our primary offer from a free profile to a free AdWords Performance Grader. That was a fantastic "growth hack". Tens of thousands of people use our grader every month. It's an amazing source of lead generation. It empowers our salespeople to know exactly what issues our customers are experiencing and how to best help them. It instills a sense of urgency in our target customers because it really highlights the painful revelations around wasteful spend. Our grader motivates them. Normally, you have to sell people on your solution by explaining why they need it. Our grader shows them why they need it. Our AdWords grader turned out to be our most powerful growth hack. It pulls people through the conversion funnel without any human intervention. People quickly go from awareness to consideration. Companies spend way too much effort chasing after new customers over keeping and growing the book of business from the customers they already have. Loyal customers are extremely valuable. You want to increase your customer lifetime value after spending the money to acquire and onboard them. We've done thousands of experiments to figure out the secret to customer retention. A few ways you can do this include giving your salespeople bonuses based on client retention; building relationships with your clients and investing heavily in key "make-or-break" moments; and not being afraid to say no to certain types of clients. You can read more on this topic in my article, 4 Unusual Ways Successful Companies Keep More of Their Best Customers. Building a successful business wasn't what I thought it would be like. There have been huge challenges along the way. But despite these challenges, it's been a remarkable and unforgettable journey. Hopefully this post will encourage you (not discourage!) to start your own business-- with realistic expectations. It will take serious time and effort. Because when it does work, it's very special!